Leaf (f. 27r.) of Codex Runicus. Codex Runicus, the medieval manuscript dating from circa 1300 AD, comprises around 202 pages composed in runic characters. Known for its content of the Scanian Law (Skånske lov) – the oldest preserved Nordic provincial law, the codex is also touted to be one of the very rare specimens that have its runic texts found on vellum (parchment made from calfskin). And interestingly enough, as opposed to Viking Age usage of runes, each of these ‘revivalist’ runes corresponds to the letters of the Latin Alphabet. Now while a significant section of the Codex Runicus covers the Scanian Ecclesiastical Law (pertaining to Danish Skåneland), the manuscript also chronicles the reigns of early Danish monarchs and the oldest region along the Danish-Swedish border. But most interestingly, the last page of the codex also contains what can be defined as the oldest known musical notations written in Scandinavia, with their non-rhythmic style on a four-line staff. One such Norse song verse, more famously known in modern Denmark as the first two lines of the folk song Drømde mig en drøm i nat (‘I dreamt a dream last night’), is presented in the video below, performed under the tutelage of renowned Old Norse expert – the ‘Cowboy Professor’ Dr. Jackson Crawford. One can also listen to the short instrumentation of this old Norse song by clicking here. um rosemd með engan skell. hver sjon ol sin eiginn ugg. þó spurning at bera brenn. ok gløyma svá folki flest´. um silki ok ærlig pell. a peace with no disturbance. a different fear upon each face. even when the question hurts to bear. of silk and fine furs. And in case you are interested, the famous folk song (partly derived from the oldest secular Norse song) is presented below. It was performed by the Danish singer Louise Fribo. Reverting to the Codex Runicus itself, many scholars do not consider the manuscript as a natural progression of runic culture (that was prevalent during the Viking Age) into the later Latinized era of the medieval times in Europe. Instead, the literary scope is perceived as a revivalist work that sort of counteracted the rising cultural influence of Western Europe in Scandinavia. To that end, as we mentioned earlier in the post, the runic script in itself was written with the help of 27 characters that corresponded to the phonemes of the Latin alphabet. These medieval runic ‘letters’ found in the Codex Runicus were based on the Younger Futhark, a runic alphabet with only 16 characters that was mainly used during the Viking Age and its succeeding decades (early 8th to 12th centuries). 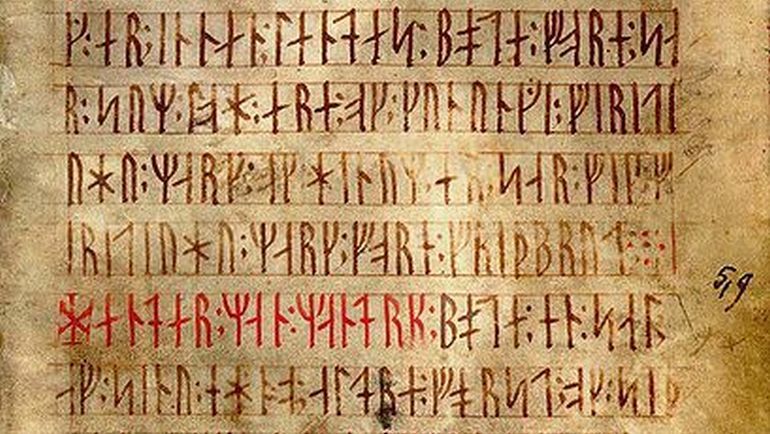 And from the historical perspective, in spite of the introduction of Latin letters in parts of Scandinavia (by the 13th century), the feudal working class – including the farmers, artisans, and traders, continued to write in runic scripts, for both communicating and marking their goods. We loyally went on using the script inherited from our forefathers. 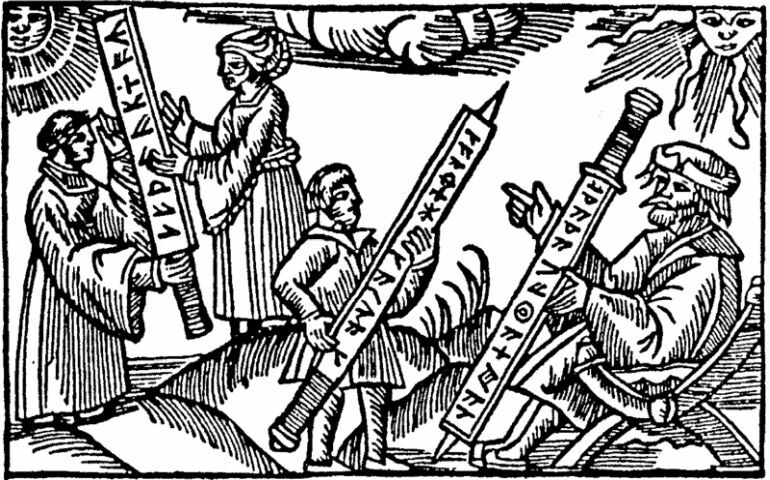 We clung tenaciously to our runes, longer than any other nation. And thus our incomparable wealth of runic inscriptions also reminds us of how incomparably slow we were – slow and as if reluctant – to join the company of the civilised nations of Europe.